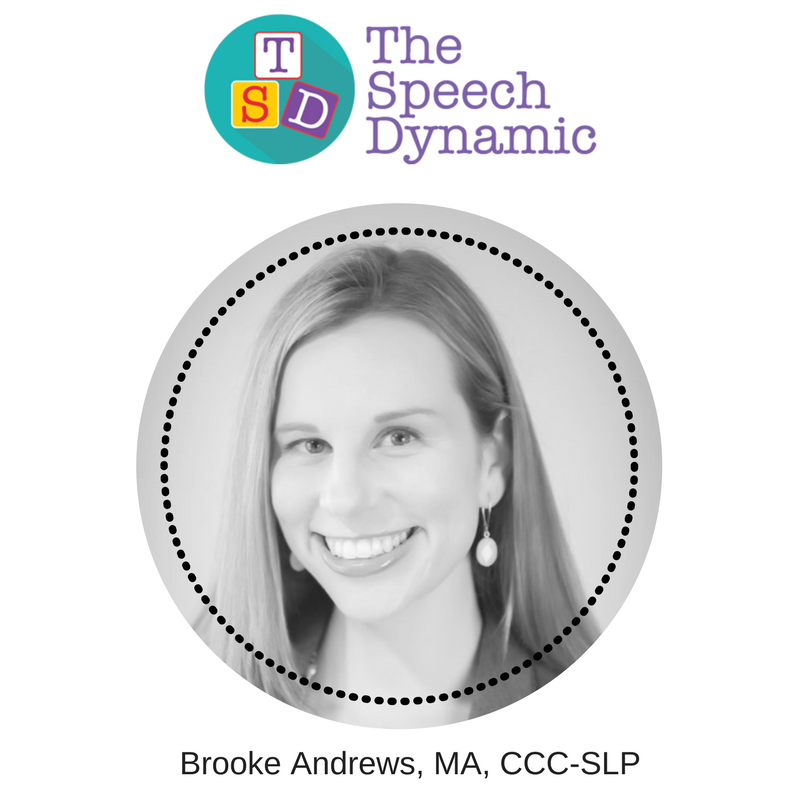 This week I am excited to welcome Brooke Andrews, MA, CCC-SLP as a guest blogger for Tandem Speech Therapy. She is the owner of The Speech Dynamic in Houston, TX. Brooke specializes in social communication, language delays and differences, and play-based learning. This post is the second part of a blog post Brooke shared on her website. 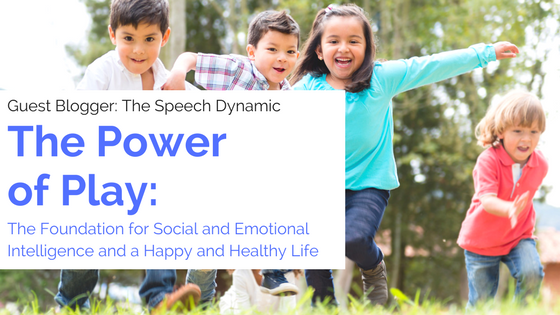 Read the first part, “Play, Language, and Learning–How the ‘Magic’ Happens” on The Speech Dynamic. Play is more than recreation for children. Play is how children learn about the world. It’s how they learn to problem-solve, use language, build executive functioning skills, form relationships, and learn to take the perspectives of others. 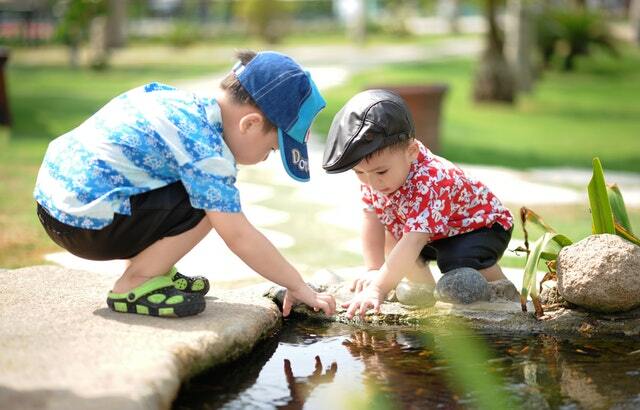 Play develops the social skills people use to relate with, play with, learn from, and teach others. It teaches us how to express emotions, delay gratification, and understand and appreciate how others feel (Schiller, 2018). In other words, it builds social and emotional intelligence. 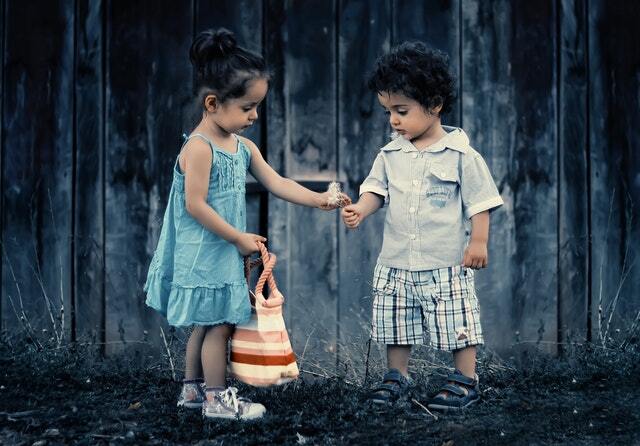 Children who have high social and emotional intelligence exhibit self-confidence, express natural curiosity, make thoughtful choices, relate to others, know others’ feelings and express concerns, communicate needs, desires, and ideas, solve problems through compromises and negotiations and employ calming strategies (Schiller, 2012). Social skills and emotional intelligence are important for meaningful relationships and a good life (Schiller, 2018). Additionally, social and emotional intelligence are correlated with success in life. In fact, high social and emotional intelligence is correlated with SAT scores an average of 210 points higher! In the famous “marshmallow experiment,” the children who waited the longest to eat their marshmallow were more popular, had higher SAT scores, higher GPAs, and were better able to handle stress ten years later! (Mischel & Shoda, 1988). Ultimately, the children who were able to delay gratification in favor of reaching a long-term goal were more successful later in life. During play, children must also learn to delay gratification. They learn to wait their turn and share with others. This requires cognitive control and refers to maintaining impulse control, managing upsetting emotions well, holding focus, and possessing a readiness to learn (Daniel Goleman). This skill is a better predictor of success than academic skills. This type of intelligence must be cultivated through experiences. In early childhood, these experiences are primarily through play. During play, children “try on” various roles and relationships (ex: “I’m the mom, and you’re the baby”). This builds perspective-taking skills and theory of mind, the knowing that others have different thoughts, beliefs, and intentions than you do. 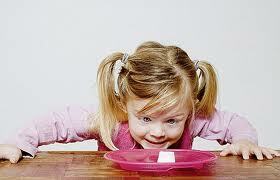 During play, children learn self-regulation and self-control. Acting on impulses such as hitting or having a tantrum may end the game or result in other children not wanting to play. Play also encourages “if-then” thinking called conditional reasoning (Wesiberg & Gopnik, 2013). “If I’m the doctor, then I get to wear the coat” is the same skill children use to think about the future- “If I hit my friend, he would feel sad, and I would get in trouble.” This inhibition is one of the foundational areas of executive functioning. Children also build cognitive flexibility as they change their plans and flexibility change roles and props. Children engage their working memories as they coordinate and add to the play. According to the Harvard Center for the Developing Child, these three areas- inhibition, cognitive flexibly, and working memory are the core executive functions. Infants learn to communicate via gestures and vocalizations. Through interactions with a responsive caregiver, infants develop attachment and emotional bonds. These interactions develop into back and forth communication (social reciprocity) and lay the foundation for communication and social skills. Parents are their child’s first play partners. Through playful interactions and early games such as Pee-a-Boo, parents teach their babies about social communication and language. Between nine and twelve months, babies begin to communicate with intention and begin using a point to direct their caregiver’s attention. As they learn to use language, children are able to communicate their wants and needs, share their interests and ideas, and use language to connect with others. An incredible amount of brain development is happening during the early years. In fact, 80% of the brain is wired by age three and ninety percent is wired by age 5 (Schiller, 2018) The brain wires with experiences and neural pathways strengthen with repetition. By giving children plenty of language input throughout the day and many opportunities for play, we provide the developing brain with opportunities for learning. When we value play in early childhood, we build a strong foundation for communication, language, cognitive skills, problem-solving, and social skills. Onlooker Play: Under two years. Children play passively while watching other children engaged in play. Encouraging language at this stage: At this stage of play, children enjoy cause and effect toys. Using the Hanen strategy of “intrude,” you can create communication opportunities by creating reasons for your child to communicate. Examples include things like using toys that are hard to operate (wind-up toys, etc. ), keeping toys out of reach (up high or in a container that’s hard to open), and waiting for your child to communicate instead of anticipating their needs. By accepting your child’s best attempt at communication, (pointing, looking, making a sound) you reinforce their communication attempt. You can then model saying the word, helping your child make the association between the word and their object as their mouth catches up. If your child is communicating with words, you can expand their utterances by adding new information (“That is a dog. He is soft!”) and talking about what they are interested in. 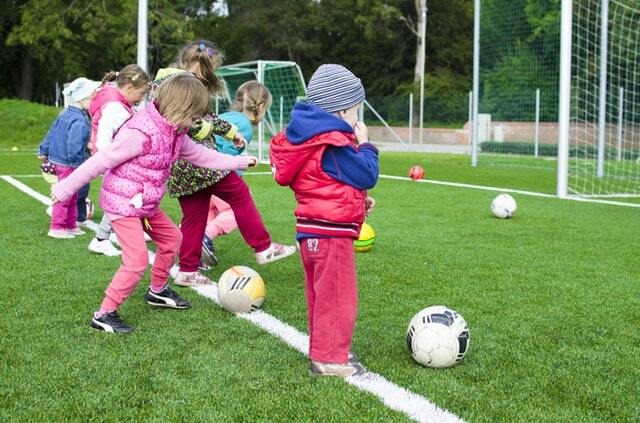 Goals for Onlooker Play: Our goal at this stage is to encourage children to share space. Set up space so that children can play near each other. You can also provide your child with opportunities to watch other children play. Trips to the park are great for this! Modeling of higher levels of play is one of the great things about mixed-aged play! Encouraging language at this stage: Between 18 and 24 months, toddlers have a huge leap in their vocabularies. Children start to grasp the symbolic nature of language and start to discover they can arrange words to reconstruct new meanings (“Mom sit,” “No sit,” “Sit now!”). 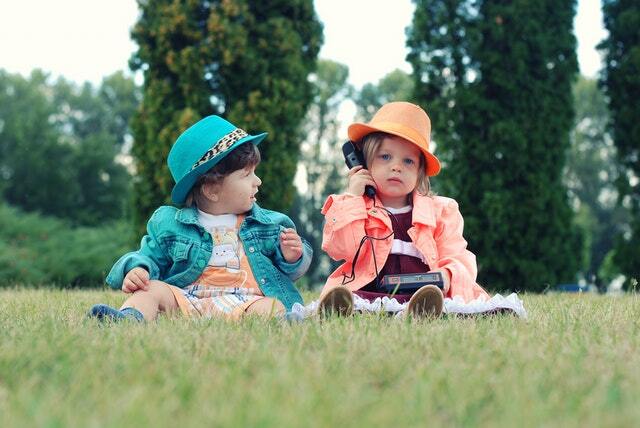 At this age, toddlers are ripe for learning language. Adding language to everyday routines helps them learn language earlier and more efficiently. Studies show that a child’s vocabulary can be predicted by the number of words they hear. By talking to children about what they are interested in, we provide them with a language-rich environment for them to “soak up” what they hear. Goals for parallel play: Just as children are understanding new relationships in their language skills, toddlers at this age are exploring new relationships between objects in play. As children start to understand that objects can be symbols, they start to understand one object can stand for another. For example, a block can be a bone for the dog as well as a pillow for his bed. By encouraging objects that are more open-ended (blocks, Play-Doh, etc. ), you are encouraging your child to think to develop symbol substitutions. You can help by modeling symbolic substitutions (“Here’s my steering wheel!”) while holding a paper plate. Children reach higher levels of play with adult support. Parallel Play: Two years old. Children play near other children while engaged in their own play activity. Associative Play: 3-4 years. Children share materials but are not yet coordinating play. Encouraging language at this stage: By 2-3 years of age, toddlers begin talking about past events such as their trip to the zoo or the birthday party they attended over the weekend. By preschool, children are participating in show-and-tell, sharing objects with their peers, and telling where the objects came from and what they did with them (Westby & Calutta, 2016). These early stories are called narratives and they set the stage for early literacy development. Constructing life stories with your child promotes language development. However, how you construct stories with your child matters. Parents that join in with their child by adding language and filling in the missing information help their child develop language and narrative skills. This is called an “elaborative style” and it contrasts a “repetitive style” in which we only focus on getting the child to answer “wh” questions about the event. Goals for associative play: The goal here is to get children to assign roles, create a plan, and “share an imagination” (Winner, 2014). By encouraging children to think ahead about their play plan, you can encourage them to start to coordinate their play: “Which one of you is going to be the doctor?” “Why are you going to visit the doctor today?” This is something children at higher levels of play do naturally. 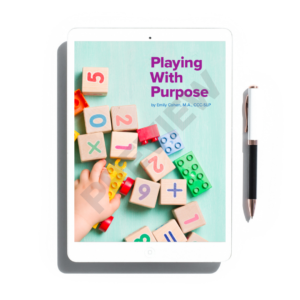 By pre-planning the play, you can help get children on the same page, mitigate potential conflicts, and get them thinking about their play in a more advanced way. (Bodrova & Leong-Tools of the Mind). Encouraging language at this stage: Play is an excellent opportunity for children to learn language skills. As children explore new themes and roles, they learn about the language associated with them. For example, what I say as the customer is different than what I say as the server. The script will be different if we are playing “McDonalds” vs a “sit-down” restaurant. Cooperative play ultimately explores the relationships between people (ex: doctor/patients, store clerk/customers, etc.) Reading books together provides wonderful opportunities to learn more about people and their roles as well as introduce new ones (ex: paleontologists, etc.) During book reading you can point out non-verbal cues and emotion words related to the characters (“I can tell he is mad by the way his face is all scrunched up!”) and model using mental state words (“The mouse thinks his cheese is still in his hole. He doesn’t know the cat took it.”) Modeling and teaching specific strategies for dealing with emotions can also be helpful (“When I want to hit, I close my eyes and take five deep breaths instead.”) Even very young children can be taught mindfulness and gratitude practices. Dr. Becky Bailey, creator of Conscious Discipline, (www.consiousdiscipline) suggests teaching young children to “STAR” – Stop, take a deep breath and relax. Goals for cooperative play: Cooperative play extends over time and explores relationships between people. Providing plenty of background knowledge through books, visits, and outings in the community give children more “material” to explore during play. By 4-5 years old, children begin to show more advanced theory of mind, meaning they understand that other people have different thoughts and feelings than they do. This is important for taking the perspectives of others and making choices based on how they want others to feel. We can support social intelligence by coaching children through problem-solving and conflicts during play. Using the five essential steps of Emotional Coaching from John Gottman (www.Gottman.com), parents can “coach” their children through their emotions. The steps are as follows: 1) Become aware of your child’s emotions 2) Recognize your child’s expression of emotion (connect with them) 3) Listen with empathy and validate your child’s feelings 4) Help your child label their emotions with words 5) Help them to solve the problem and find a solution. Cooperative Play: 4-6 years. Children organize themselves into roles and coordinate specific goals for the play. In an age where traditional play is easily replaced by screens and batteries, and play is too often neglected in favor of “academic readiness,” play holds more value than ever. Play teaches the skills necessary for success in life. Play teaches us how to handle our emotions as well as understand and appreciate how others feel. It teaches how to work with others, solve problems, use language effectively, and resolve conflicts. Play teaches us how to be thoughtful, curious, and confident in ourselves. Play develops the social and emotional intelligence that is shown to be more highly correlated with later success than any academic skill. In other words, play is a child’s work. 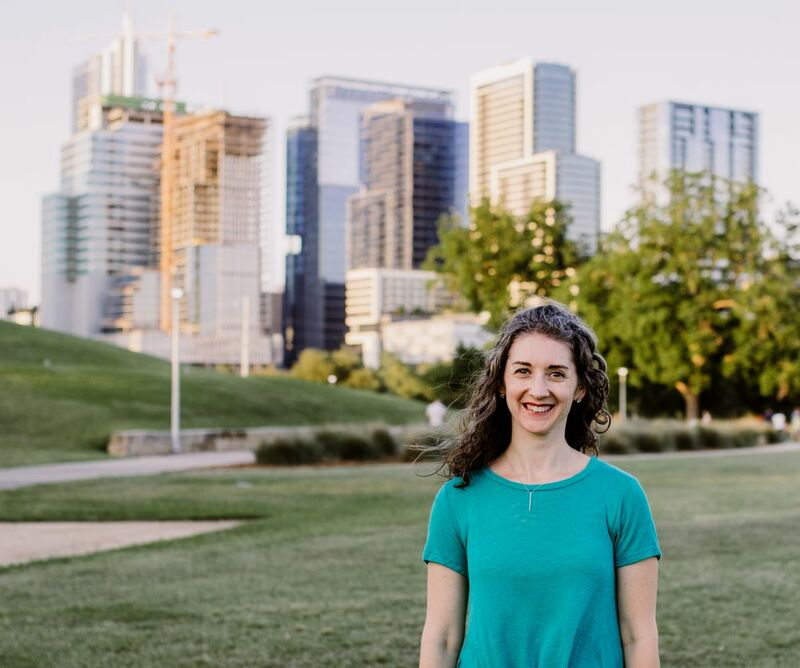 Brooke Andrews, M.A CCC-SLP is the owner of The Speech Dynamic, PLLC, a boutique private practice in Houston, TX. She specializes in social communication, language delays and differences, and play-based learning. Brooke is the co-creator of “Wiggle-Time” and has presented at various conferences. She shares her expertise in her workshops for parents and teachers. The Speech Dynamic is a unique private practice that specializes in social communication and language development. The Speech Dynamic utilizes SocialThinking™ methodology to teach social cognition to students with social communication challenges. These groups start at five years of age and are offered through high school. Lego-Based Therapy ™ is also offered. The Speech Dynamic also offers individual and group therapy for early learners. These sessions utilize a variety of frameworks, including DIR Floortime, ™ The SCERTS Model, ™ and Hanen Programs™. These programs all emphasize meeting the child where they are and value the importance of family involvement. Are you looking for more more ways to make your play powerful? Schiller, P. B. (2012) Start Smart Building Brain Power in the Early Years. Lewisville, NC: Gryphon House. Schiller, P. B (2018, January). Right from Birth: Social and Emotional Intelligence. Presentation from the R. T. Garcia Early Childhood Conference, Houston, TX. Weisberg, D.S.. & Gopnik, A. (2013). Pretense, Counterfactuals, and Bayesian Causal Models: Why What is Not Real Really Matters. Cognitive Science, 37, 1, 368-138. Westby, C. Theory of Mind Interventions to Develop Social-Emotional Skills. Pesi Rehab.